Can anyone give me a recommendation on where you have played in Nassau Bahamas? Public, Private, or Resort? I've played there twice....years ago. Options were limited on the island then, and even more so today. If you are staying at the Atlantis resort, you can play the Ocean Club.....$250+ but it's spectacular. Baha Mar gets great reviews as well, but I've never played there. It's a new course designed by Jack Nicklaus. I played on Great Exhuman last month. Not sure if open to public or non guests, but the golf course on the Sandals resort is legit. 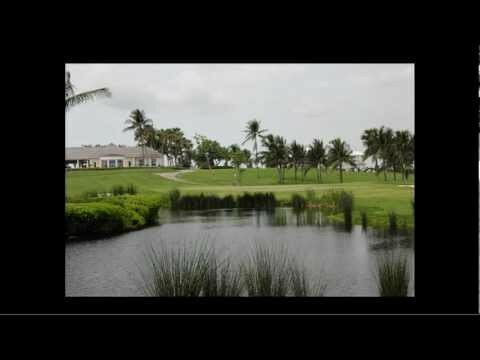 One of the nicest tracks I've ever played from an over all point of view. It was manicured as nice as one of the pretty expensive privates that I played at, but the views were out of this world. I think like 8 of the 18 holes are literally feet from the ocean and a couple on the front 9 are on this cool looking lagoon. Great Exuma and Nassau are different islands. Weird, when I booked the hotel & purchased plane tickets I could have sworn they were the same. I've played the Ocean Club several times. You need to be a guest of The Atlantis, or be staying at the Ocean Club to get on. One thing I can tell you, neither option will be cheap. Did you like the Ocean Club? I can book it through the cruise line. Bahia Mar has an event so it’s out. Ocean Club is awesome. It’s expensive, but it’s incredibly beautiful. If Baha Mar is booked up, go ahead and book the Ocean Club. I’m sure you’ll love it. The Ocean Club is tough NOT to like! It can be breezy, but every time I've played it the conditions were superb. EDIT: Wanted to add that the Ocean Club is minutes away from the cruise ship docks as well. Ocean Club is a great course, played several rounds there early last year. Stayed at Atlantis and just took the shuttle back and forth to the course. I like to play courses that I see on TV to get a feel for them myself. The LPGA tour starts the year off at the Ocean Club I believe. Lyford and Albany are where you want to be. Not to one up, but if you can get out at Albany or Lyford, you have to check out Bakers Bay. I know it is a different island... Secluded island, brilliant white sand beach, protected reefs to dive and surf, and a phenomenal golf course. That is as close to golf heaven as I have ever been. I called Albany they didn’t want a single on. Lyford looks fantastic thanks. Do you think a top 100 club calling Lyford can get on? The Ocean Course was really nice, some throw away holes between some good ones. Great staff and facility. I was on Guana not to long ago. How did you get on Bakers Bay? Couldn't find a way to get on. I got an invite through some friends. I would think that if you could swing Albany, you could do Bakers as well.